Photo: Penn Place, ca. 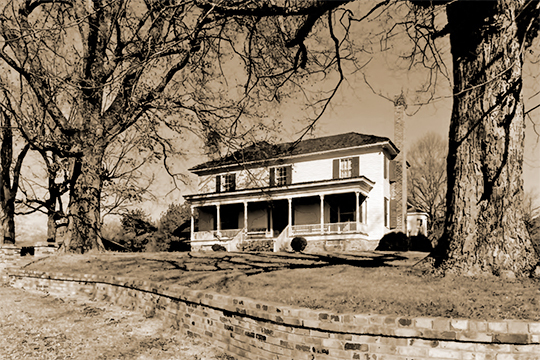 1850s, Penn Bridge Road, Trion, GA. Listed on the National Register of Historic Places in 1988. Photograph by James R. Lockhart, Penn Place, Chattooga County, GA 1987, NR# 88001828, National Park Service, National Register of Historic Places, Washington, D.C.
Chattooga County administrative offices are located at 10035 Commerce Street, Summerville, GA 30747; phone: 706-857-0706. Created from parts of Floyd and Walker counties in 1838, the county is named for the Chattooga River.